The local dailies published their traditional year-end poems yesterday, and they couldn’t be more different. 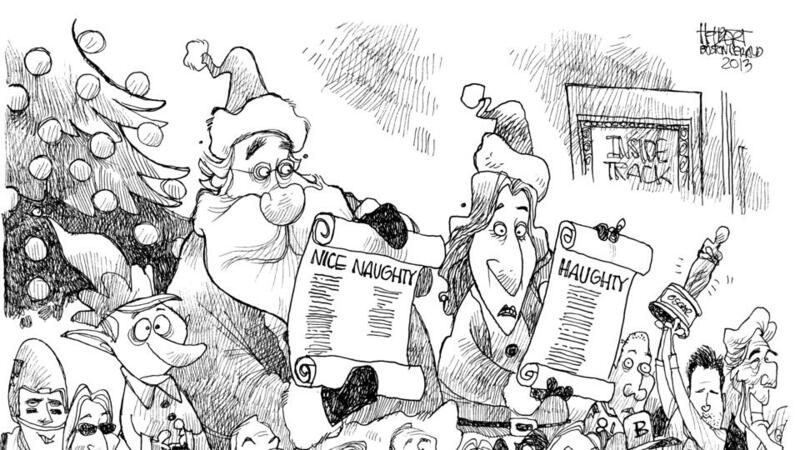 First up, the Boston Globe’s annual holidays card to readers, in verse compliments of Joseph P. Kahn. Greetings of the season, all. We pray beseech the N.S.A. To please refrain from scooping data. And swift access to HealthCare.gov. And Kahn is off to the races. Crosstown, the Boston Herald delivers its annual words of good cheer compliments of Track Gal Gayle Fee. They were all in the sack. With our worn-out Jimmy Choos. It was time for a snooze. In our jammies so snug. We were resting our tongues! What’s interesting is how little intersection there is in the two ditties. Donna Tartt, and Freeman, Morgan. 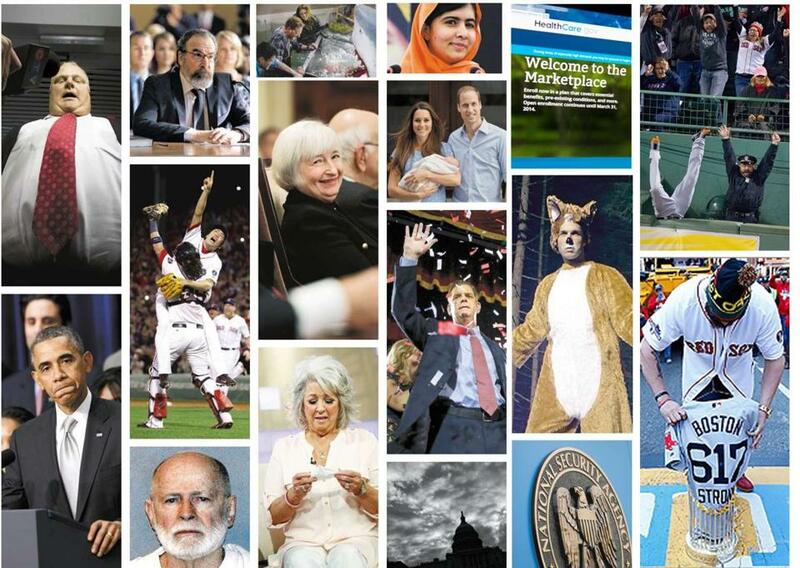 Name-dropping in the Herald: Kim Kardashian, the Wahlbergs, Ben Affleck, Whitey Bulger. And ageless Sir Ian McKellen. Finally, references to crosstown rivals. Winked and pulled on a lobe. “All the good stuff’s for the Herald. P.S. Family lore has it that my old man wanted to name his first-born Mary Christmas Carroll. Cooler heads (read: Jackie’s Agnes) prevailed.